When your data is complete, correct, and organized, it’s possible to get a clear picture of who your customers are, what they want, and when they’re most likely to buy. When equipped with this information, you can craft strategic marketing campaigns that deliver the perfect message at the exact moment the customer is ready to make a purchase. Here are three practical ways to repair and replace missing data, choose the right CRM client, and use the data you already have to make more strategic marketing decisions. 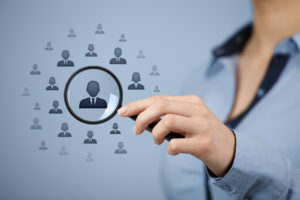 Many email and CRM programs automatically assign a Unique ID to each customer record you have. The default setting for most of these programs generates a Unique ID using the customer’s email address. This can pose a big problem because your customer might have two or three different email addresses that they use for work, business, and personal communications. If you use each email address to create a Unique ID, you suddenly have three different customer records for the same person. You can’t get an accurate picture of overall buying habits, loyalty, or likely future purchases because you’re looking at separate transactional data for what appears to be three different people. In order to repair data where the Unique ID is the email address, simply choose another unique identifier for that customer record, such as a numerical account number or an auto-generated code then merge the records in to one. Unless you only use email marketing and you never plan to send direct mail or create customer profiles or conduct analytics on your customers, don’t rely on an email program alone to store your customer data. Email programs are just that – programs designed to store, send, and track email marketing communications. For the more robust aspects of your data, such as detailed demographic data, seasonal mailing addresses, birthdays and anniversaries, and transactional data over time, you need a CRM that can store large amounts of detailed data in an organized way. Choose a CRM that offers integrations with your email program so you can have the best of both worlds, but also so you’re not stuck relying on a limited email tool as your primary database. Choosing the right CRM software is a strategic marketing move that should be made with the input of every data stakeholder in your organization. Find out how each person uses data and what value that data brings to your organization. After considering what is most important to each individual who’ll be using the program, make a list of the top 10 or 20 features you’d like your CRM to have. Organize those features in order of importance, with your top three being ‘critical or must-have’s’ and your bottom three features being somewhat negotiable. Share your list with multiple CRM vendors and see who best meets your needs. Once you’ve narrowed it down to your top two or three choices, schedule a product demo so you can see the software in action. Don’t forget to write down specific data problems you’ve encountered in the past, and ask how each CRM client addresses those problems. Once a week isn’t too often to indulge in a warm, cheesy, creamy bowl of delicious pasta! While you can certainly buy store-bought ingredients if pressed for time, fresh homemade pasta and sauce beats boxed pasta all day long. Making this recipe reminds me a lot of repairing and restoring your data. Just as you can’t slap together a few ingredients and get something delicious, you can’t simply collect data and expect it to build your business. Like a fine cream sauce or the perfect pasta strand, data takes a bit of care and attention in order to realize its full potential. That care needn’t be time-consuming, but it does need to be targeted and specific for optimal (or delicious) results. Pasta – If dried, boil the water to cook your pasta. If fresh, put on the water and while it heats up make the sauce. Sauce – warm about a cup of heavy cream (1/2 C per person) in a non-stick skillet. When you see bubbles at the edges of the cream, stir in your favorite pesto. I am partial to sundried tomato pesto, but store-bought basil pesto will be delicious as well. Stir the cream and pesto together on medium heat – do not boil. When warmed through, put your fresh pasta on to cook. When the pasta is al dente (fresh or dried), drain it and put it into the skillet with the creamy pesto sauce. Serve it in a pasta bowl and top with freshly grated parmesan cheese. Bam! It will make your brains fall out! Just because data has been captured doesn’t mean it’s ready to be put to work. When you reassign User IDs, choose the perfect CRM program, and repair missing data with the most up-to-date customer information, you’ve positioned your marketing team to achieve and surpass their campaign goals. Are you transitioning to a more robust CRM solution, or wondering which program is right for your organization? Massa & Company can help. We’ll repair, replace, and organize your customer data so you’re empowered to make more strategic marketing decisions. Find out more by calling (312) 463-1050 or clicking here now.